Learn how to get along with your roommate and so much more! Please contact Joy Von Steiger, PhD, Director of the Brandeis Counseling Center. Starting college is exciting, but it is also a big transition full of new experiences and challenges. RISE is an undergraduate program for students who would benefit from learning skills to help them thrive in college, supporting their mental wellbeing and academic success. This program is designed for students who have previously experienced depression and/or anxiety. Students will work in small groups with faculty and clinicians from the counseling center. Learning is primarily experiential with discussions and hands-on opportunities to practice skills. In the evenings during pre-orientation, the group will participate in fun, relaxing activities, such as a picnic along the Charles River, mindfulness practices, making stress kits and watching a movie. We will focus on skills for coping with and bouncing back from stress, and strategies for preventing stress by using effective study, test taking, time management and goal setting techniques. We will also work on strategies to navigate the social side of college life, connect with resources throughout the university, and develop strategies to support your own wellbeing. Unique to this program, students will continue meeting as a group once a week throughout the semester to support each other, continue to learn new skills, and practice the skills they learned in the pre-orientation program. 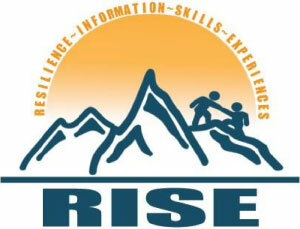 View the RISE flyer and its link to the online application.